The Water at a height contains potential Energy and when it is flowing from higher to lower level the potential Energy is converted into Kinetic Energy. When running water is allowed to pass through the Hydraulic turbine, the turbine rotates and develops mechanical energy which in turn drives a generator through a Gearbox and Electrical Energy is produced. The head and the discharge and the period of Water discharge determine the Power Potential and Energy generation at any location. 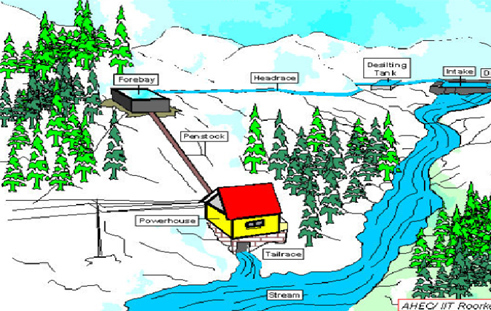 A minimum 3 Mt head is desirable for installation of a Low head Hydel power Station. These Projects can be installed on canal drops, dam toes, waterfalls, streams and rivers. 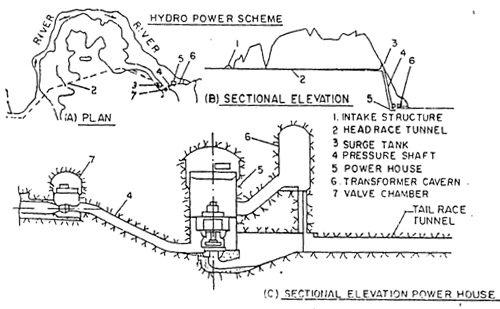 The Power project essentially comprises of a diversion weir / regulator an intake canal, powerhouse, tailrace pool and tailrace channel. Harnessing the energy contained in flowing water without consumptive use and free from all sorts of pollution. Environment friendly green power generation. Improving the local voltage conditions near the project. Additional revenue to Government by way of water cess / royalty. 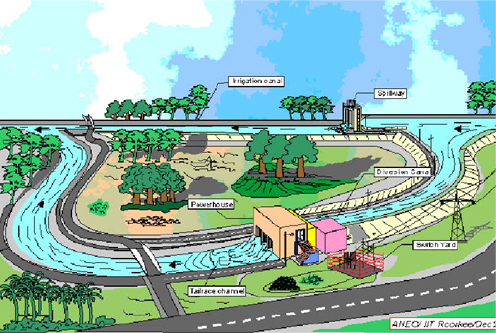 Improvement of discharges through canal in the reach of the project due to concrete lining. Potential Energy of water is used for driving the turbine and to generate the power in the project without any consumption.